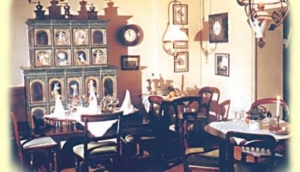 Austrian food is mostly associated with Viennese cuisine like the famous Wienerschnitzel, Sachertorte chocolate cake and the Kaiserschmarrn dessert, which is basically smashed up pancake with berry compote. We know you will be happy to learn that these fabulous dishes can be found throughout Berlin in Austrian restaurants. To complete the dining experience why not try an Austrian wine or beer to go with your meal.